You can never eliminate fear. But you CAN tame it! 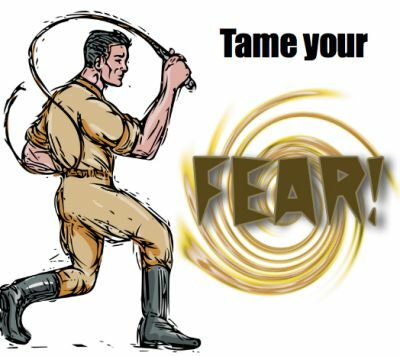 Really, your choice is between feeding and growing your fear, or taming it. The first will only chase you further into a cave. The second option, taming it, leads you to what is most important to you. When your fear is fed and grows, you grow smaller. When your fear is tamed, you grow larger — into a larger life, with greater impact, deeper meaning, and more purpose. Learn how to move through these steps and discover your larger life!